Water Consultants of America is a leader in water treatment science and technology providing innovative chemical, equipment, and service products aimed at controlling deposits, corrosion, and biological fouling in water-using systems found in industrial and institutional settings. We also help customers conserve water and energy, implement safety protocols, train on containment and monitoring techniques, and develop programs for minimizing risks associated with waterborne pathogens, such as Legionella. 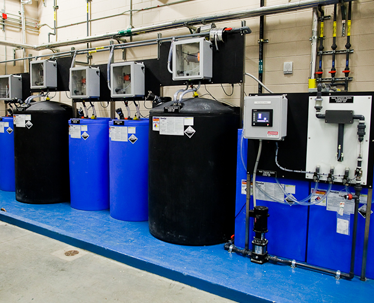 Contact us today for more information on how our innovative water treatment solutions can help protect your system.